The Modernist Studies Association has announced its short list for the MSA First Book Prize (for a book published in 2017). One of these books will be presented as the award winner in Columbus at our 20th annual conference, November 8-11. We offer our congratulations to all of the finalists. Impressive in both scope and depth, Sonya Posmentier’s Cultivation and Catastrophe: The Lyric Ecology of Black Literature opens new horizons for ecocritical study of Black literature, particularly experimental twentieth-century poetry. Every chapter offers trenchant insight into Black writers’ engagement with “haunted ecologies,” while also raising acute questions about eco-critical methodologies in relation to Black diasporic aesthetics and (inter)nationalism as well as Black pessimism, optimism, and temporality. In rendering the bodily and communal experience of “catastrophic rupture” within ruinous landscapes, Black lyric poetry, Posmentier argues, also cultivates a futurity and continuity that ultimately “reorients the temporality of Black history.” She builds a sense of this temporal reorienting across several generations in her exquisite poetic readings of lyric poets and singers ranging from Claude McKay, Sterling Brown, and Bessie Smith to Gwendolyn Brooks, Derek Walcott and M. NourbeSe Philip. At the same time, Posmentier’s remixed formulations about the sonic, the textual, the bodily, and the environmental reverberate across genres—as she indicates in her reading of lyrics in Zora Neale Hurston’s fiction. In this way, Sonya Posmentier’s breathtaking study sheds light on several genres of Black literature, and indeed on the bio-political work of many literatures. 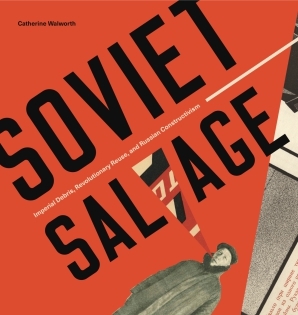 An astute, impish bricoleur’s voice enlivens Soviet Salvage: Imperial Debris, Revolutionary Reuse, and Russian Constructivism—as is fitting for this creative, interdisciplinary study of Constructivism’s aesthetic-functionalist practices after the 1917 Russian Revolution. Catherine Walworth’s own bricoleur method issues in a startling reframing of the “modernist” early phase Russian Communist art. Amid postrevolutionary shortages of essential goods in Russia, Walworth first of all points out, reuse and recycling were part of “a pervasive reality.” Everything from tea cups to buildings were caught up in this retooling, yielding ironic fusions of the imperial and the revolutionary. Thus the Bolsheviks administered their revolution from the lavishly furnished rooms of the imperial Winter Place, which also held a workshop where artists reimagined principles of design and refashioned luxury objects into functional ones. There the often hungry, cold artmakers themselves depended on “retoolings,” cutting up expensive carpets to create warm boots. Keeping her own readers grounded in these material realities, Walworth makes visceral the ways in which this combination of material scarcity and revolutionary reoccupation of the habitus gave birth to Constructivism’s signature features—splicings of styles and spatial planes, and streamlining of form and function. Walworth’s visually stimulating and expertly written study deserves a wide readership among historians, political theorists, and literary and visual arts scholars. For by focusing on the ways that Russian artists gave new form to the “debris” of empire, Walworth offers far-reaching insights into the ways that art undergirds the political economy of states—and their historical remaking. The role of radio’s “narrative acoustics” in in reshaping social relations across the Americas is the subject of this superb study, which combines rigorously revisionist media history with visionary conceptual power to tell the fascinating story of radio’s narrative revolutions. Radio’s forms of mediation gave its narratives and those it inspired new perspectives, new temporalities, and new maps for public connections. The results, discovered there through extensive work with diverse archival materials, changed everything from ways of listening to ideas of property ownership. New techniques of mediation prompted John Dos Passos to shape his fiction as a response to New Deal acoustics. Radio helped Raymond Chandler and Carson McCullers developed new media forms for property-rights advocacy. Radio’s popular acoustics gave Richard Wright new ways to conceive of black voice and shared speech. Its effects upon listening and imitation prompted Manuel Puig to transform the very idea of authorship, and its radionovelas became a forum for promoting the Good Neighbor Policy in Cuba. These and other ingenious ways of reading radio’s narrative techniques make Acoustic Properties a dazzling contribution to media theory, hemispheric studies, and the theory of narrative, among the many other fields for which its profound transmedial insight will be transformative. 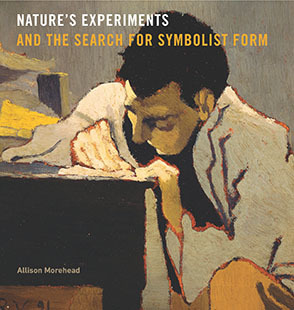 Morehead’s ingenious work shifts the very foundations of modernist visual culture through nothing less than a redefinition of modernist symbolism, which now emerges as product of the late-nineteenth-century epistemology of experiment. This boldly revisionist idea involves another foundational aspect of modernism: experimentalism itself, which here means a method grounded in nature’s own experiments, the often bizarre phenomena and pathological alterities through which nature reveals itself. Explaining how a set of central symbolist artists went from such naturalist revelations to symbolist forms, Morehead develops a fascinating account of a cultural formation without which we would not have the forms of avant-gardism that define modernism—that have defined it without recognizing the debt of radical experiment to the pathological method that actually inspired the deformities of Maurice Denis, the arabesques of Édouard Vuillard, and the methodical madness of Edvard Munch. Not only is the meaning of experimental modernism at stake in this brilliant argument, but also our idea of what modernism makes of otherness. Arguing for a new way to understand the use of alterity to modernist forms, Morehead discovers the ethics as well as the aesthetics of symbolism’s secret naturalism. William Schaefer, Shadow Modernism: Photography, Writing and Space in Shanghai, 1925-1937 (Duke UP, 2017). Shadow Modernism brings a welcome historical and theoretical dynamism to modernism’s international currents. Schaefer eschews longstanding East/West dichotomies to explain how Shanghai’s dense fields of cultural production in the early 20th century contributed to and reflected global modernist forms. 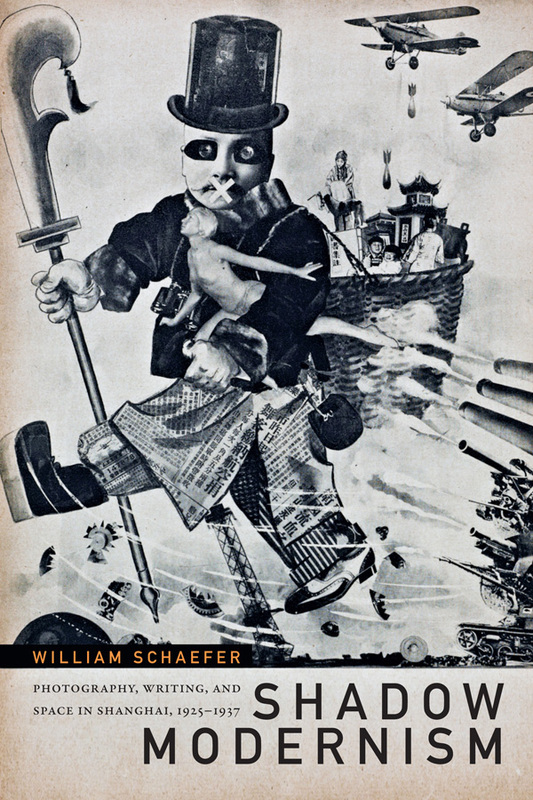 This carefully written study – which focuses on Chinese literary texts as well as photography, cartoons, landscape painting, and avant-garde and popular magazine layout – documents the emergence of art-forms marked by historical self-consciousness and the desire to capture the fractured, abstract, and dissociative qualities of Shanghai’s urban modernity. Shadow Modernism secures a place for Shanghai’s artists in the canons and archives of modernism through its detailed, beautifully illustrated presentation of figures such as the critic Fu Lei, the editor and fiction writer Shi Zecun, and the magazines Xiandai (“Les contemporains”) and Wenyi fengjing (“Literary landscape”). Photography, Schaefer demonstrates, with its new techniques for mediating reality, is the genre that helps us to understand Shanghai’s role as the center of Chinese modernity even as that city’s artists navigated their marginal status in a world still driven by Western colonialism. How did modern architecture mediate the lived experience of race? Bringing together the cross-cutting histories of Reconstruction, late nineteenth-century immigration into the United States, and the dawn of the Jim Crow era, Adrienne Brown’s The Black Skyscraper: Architecture and the Perception of Race invites us to look at tall buildings from a dazzling new perspective. In the years between the skyscraper’s invention in the 1880s and the unveiling of the Empire State Building in 1931, Brown argues, denizens of American cities entered into a new “racial sensorium,” a phenomenological condition characterized by the disorienting, seemingly anti-gravitational proliferation of taller and taller buildings. 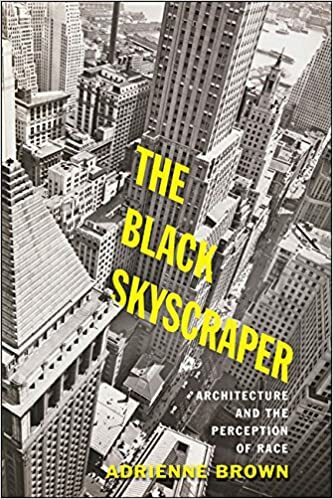 The Black Skyscraper revisits canonical works by Howells, James, Larsen, Fitzgerald, and DuBois to uncover a powerful relationship between race and architectural form that determines the modern individual’s racially coded place (or placelessness) within metropolitan social hierarchies. And the skyscraper’s complex visuality not only influenced the aesthetics of realist fiction and flights of modernist experimentation, but also contributed to the stylistic and generic variety of popular Jazz Age and Harlem Renaissance forms: pulp, melodrama, and science fiction. Brown’s study marries rich archival and historical research with close readings of literary texts, revealing how the skyscraper’s scale, and the shadows it cast, produced crucial – and until now overlooked – racial dimensions of American modernism.